Many of the toughest sentencing laws responsible for the explosion of the U.S. prison population were drafted by the American Legislative Exchange Council, which helps corporations write model legislation. 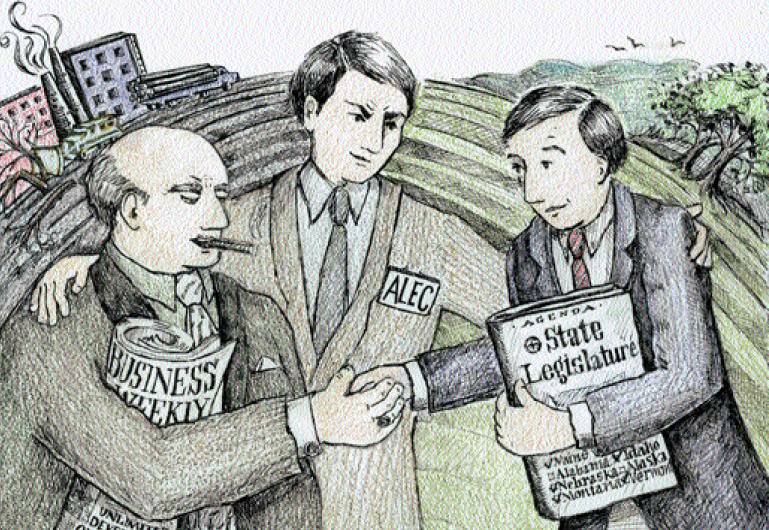 Now a new expos� reveals ALEC has paved the way for states and corporations to replace unionized workers with prison labor. We speak with Mike Elk, contributing labor reporter at The Nation magazine. He says ALEC and private prison companies "put a mass amount of people in jail, and then they created a situation where they could exploit that." Elk notes that in 2005 more than 14 million pounds of beef infected with rat feces processed by inmates were not recalled, in order to avoid drawing attention to how many products are made by prison labor.